Bell & Ross has been turning out quite a number of new models in recent years, but being a non-industry specific blog, we did not follow up with every single piece, but this duo here is something a little different from what the French watchmaker has to offer. The duo, namely BR V2-92 and BR V2-94, is what we would like call “same, same, but different.” Same because, it is has what makes the Bell & Ross’ design so endearing, i.e. the aerospace-inspired aesthetic. Different because, it has a much weightier vintage flair than most of the watchmaker’s previous design. Not surprisingly so, after all, the BR V2-92 and BR V2-94 are both inspired by the instrument panels found in 1960s aircrafts. 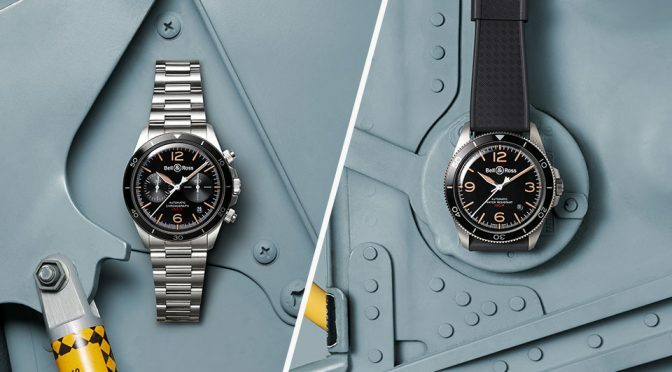 One look and you’d concur with the brand’s statement of “cultivating a resolutely retro look.” To non watch aficionados, the duo may very well be some heirloom from someone’s granddad. Really, it looks that vintage. 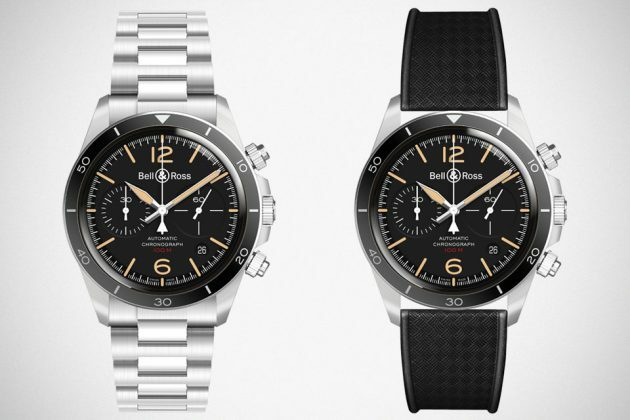 Of course, the Bell & Ross Vintage BR-V2 and BR-V4 Steel Heritage aren’t the first. But those are not as aerospace-ish, so to speak, as this duo here. 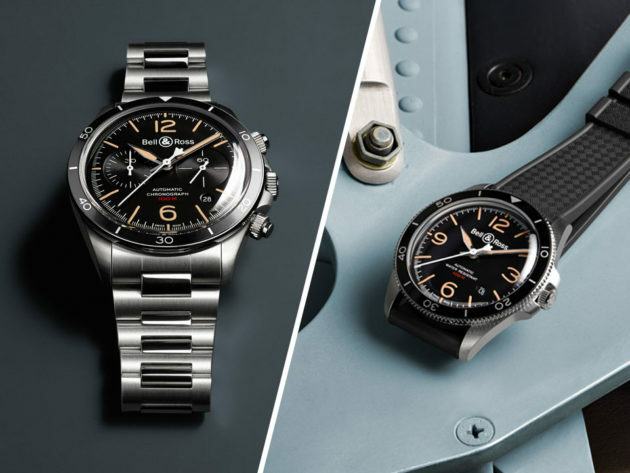 The duo here are entirely new versions, sporting the iconic black dial with its traditional sand-colored numerals that mimics the patina look accrued through time. 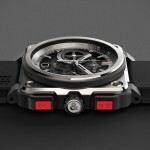 We love it, but the only let down here is, it is just 41 mm – case diameter which is too small for my personal liking. 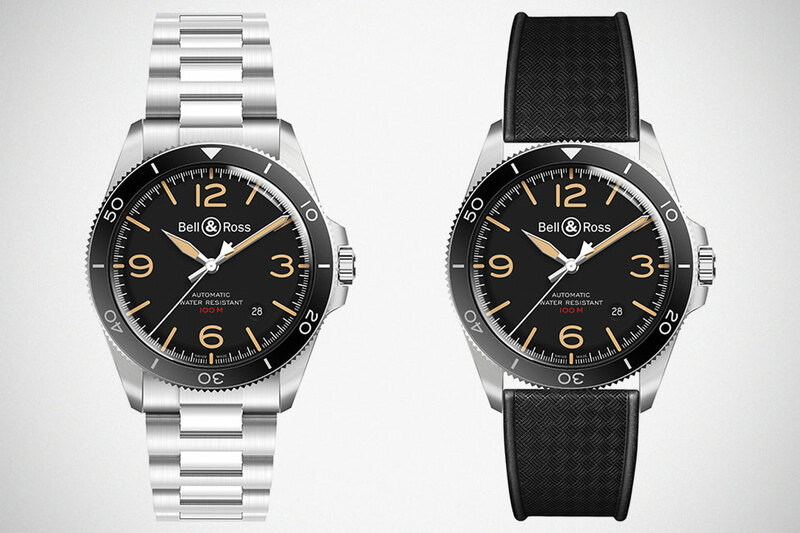 But that does not detract the beauty of the Bell & Ross Vintage BR-V2 and BR-V4 Steel Heritage. 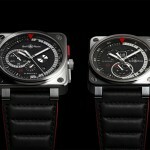 By now, you have already noticed that the V2-92 is a three-hand model, while the V2-94 is a chronograph version. And I think they look best with leather strap for that extra vintage exuberance. Just a thought there. 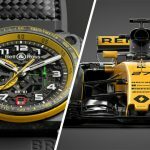 The Parisian watchmaker will be bringing this delightful duo to this year’s Baselworld, happening in Basel (duh…), from March 22 to 27, 2018.